Was Fiat Chrysler thinking about calling the new minivan a Town & Country instead? It sure sounds like it. 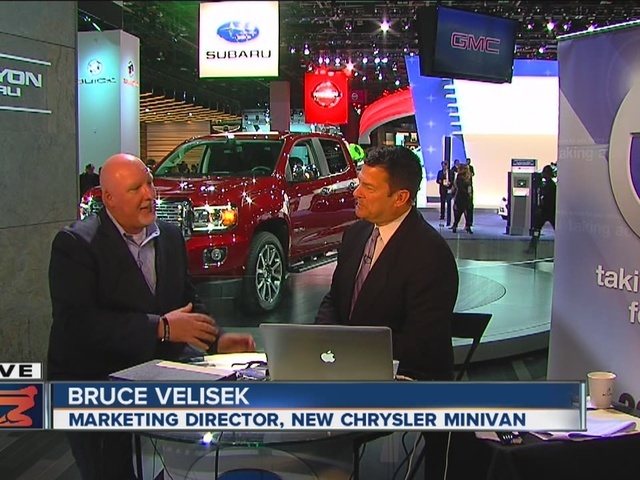 Chrysler marketing director Bruce Velisek joined us at the 2016 Detroit Auto Show to talk a bit about the company's efforts to rethink just what a minivan can be. Their latest version does away with the Town & Country name and takes on the Pacifica label. "The mental image that comes to mind when everyone hears 'minivan' is something that we wanted to redefine," Velisek told 7 Action News anchor Stephen Clark during a live webcast from the auto show. "This is an all new design, all new platform from the ground up," he stressed. The new 2017 Pacifica will also be available as a hybrid - a first for a minivan. Is it still boxy? Maybe a little bit. Velisek told us that minivan drivers do value the amount of space they have inside, so that certainly influenced the new design. Is this a minivan? Yes. "Nothing carries a family better and with more comfort and convenience than a minivan," he told us. Watch more of our discussion in the video player above.